The Commercial C collection has classic styling and commercial-grade engineering making it ideal for use in hotels, schools, hospitals, and other public facilities. 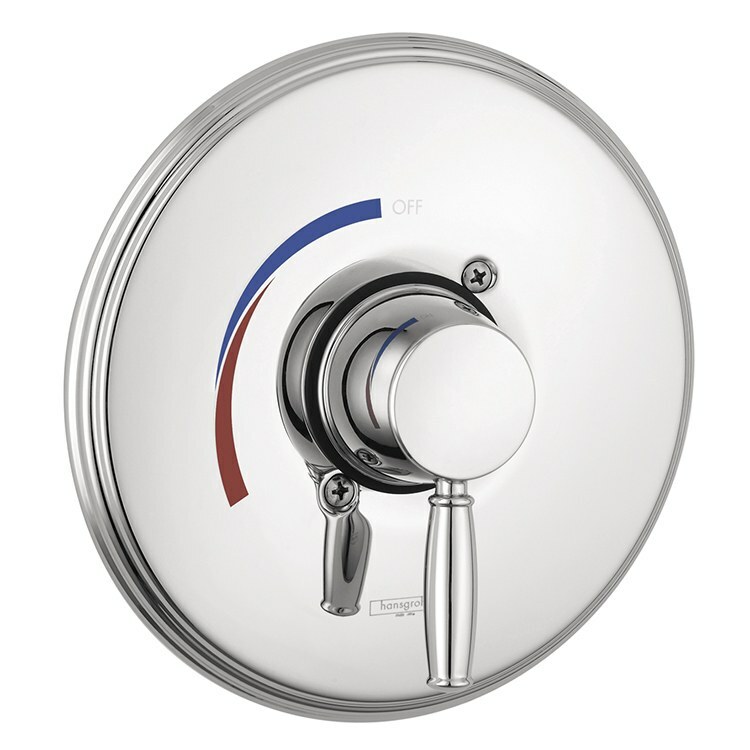 This shower pressure balance trim features easy one lever handle operation. The round escutcheon plate measures 7-3/4" in diameter and features red/blue temperature indicator markings. Trim kit does not include rough-in valve (sold separately).